The first season of Mr. Robot was a breakout hit for USA last summer, its cyberpunk hacker storyline running in an eerie parallel to real-life events like the Ashley Madison breach. 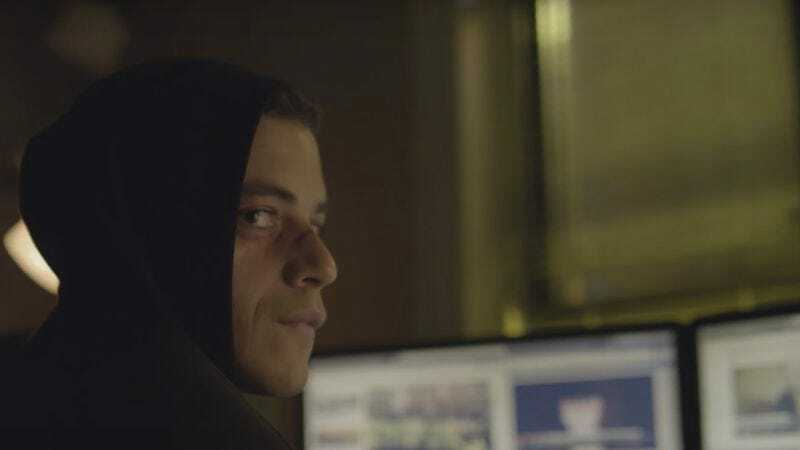 In the time since, there hasn’t been much information on where season 2 might go, other than news that creator Sam Esmail is directing all 10 episodes and the plot will tackle that Apple/FBI iPhone decryption debate. Thankfully though, we now have a few more precious nuggets to huddle over in the dark: Collider reports the show will return July 13, and further directs our attention to two teasers that suggest the world-shattering hacking is far from over. The first briefly revisits Elliot (Rami Malek) sitting in his apartment at the end of the season 1 finale when an urgent knock disrupts his focus. The second, which you can find on Entertainment Weekly, checks in on Darlene (Carly Chaikin), Angela (Portia Doubleday), and Tyrell (Martin Wallström) in addition to Mr. Robot (Christian Slater) himself. His continued presence should make those who like both inner demons and Fight Club references very pleased.